Weyland Ventures will take on the $18.2 million renovation of a historic downtown building, thanks, in part, to historic tax credits. The Ohio Development Services Agency announced it awarded $1.8 million in tax credits to support the project at 15 McDonough St., the former home of Dayton Motor Car. 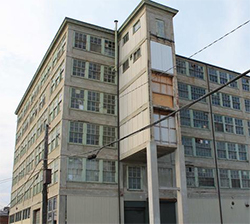 Weyland Ventures, one of the companies behind the successful transformation of the former Hughes Supply building at 210 Wayne Ave. into a mixed-use space, said they plan to convert the 80,000-square-foot Dayton Motor Car building into office space. Robotics and tech firm Gosiger Industries indicated its plans to expand into the space near its current headquarters following the renovation.